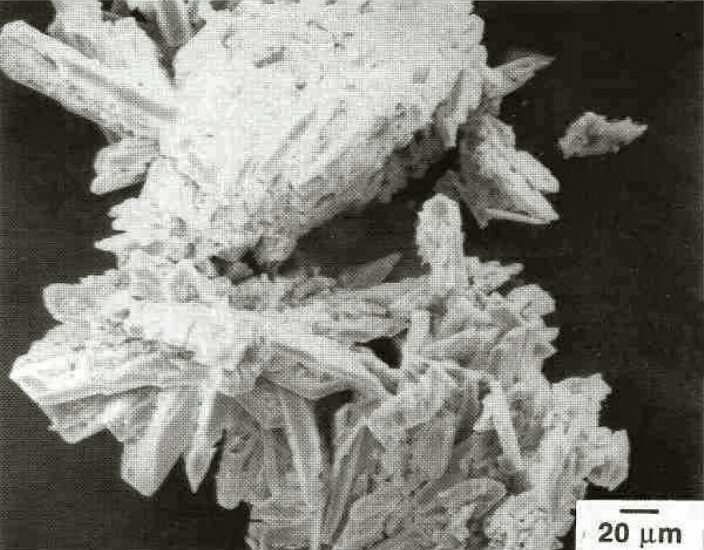 Comments: SEM image of coskrenite-(Ce) crystals in cavities in epsomite. (CanMin, v37:1453). Location: AIum Cave Bluff, Great Smoky Mountains, Tennessee.